Some topography specificities (channelling and hill effects due to the presence of the Rift Valley and various mountain and highland areas) have endowed Kenya with some excellent wind regime areas. The North West of the country (Marsabit and Turkana districts) and the edges of the Rift Valley are the two large windiest areas (average wind speeds above 9m/s at 50 m height). The coast is also a place of interest though the wind resource is expected to be lower (about 5-7 m/s at 50 m height). Many other local mountain spots offer good wind conditions. Due to the monsoon influence, some seasonal variations on wind resource are expected (low winds between May and August in Southern Kenya). There is significant potential to use wind energy for grid connected wind farms, isolated grids (through wind-diesel hybrid systems) and off-grid community electricity and water pumping. An average of 80-100 small wind turbines (400W) have been installed to date, often as part of a Photovoltaic (PV)-Wind hybrid system with battery storage. 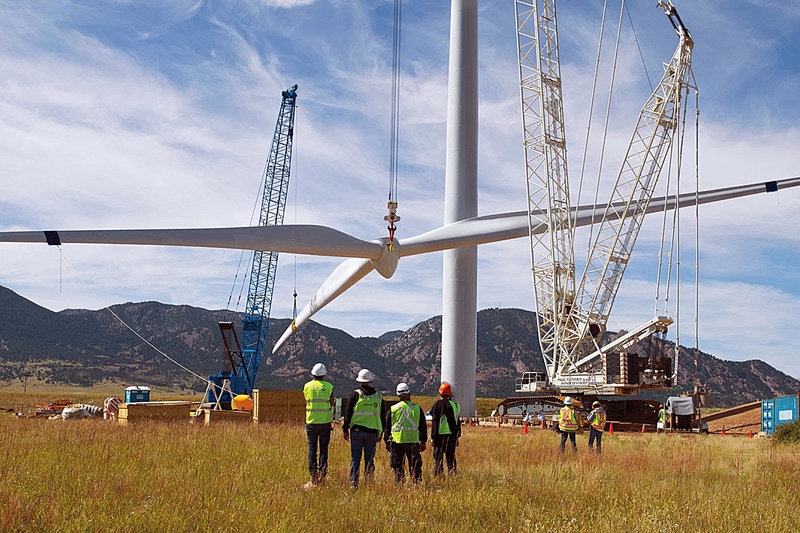 Most of these wind turbines are imported although a few Kenyan companies have recently started locally manufacturing wind turbines ranging from 150W – 6kW and have installed 50 turbines to date. Wind pumps are more common than wind turbines, 2 local companies manufacture and install wind pumps. Installations are in the range of 300-350. The Feed-in Tariff (FiT) Policy provides a fixed tariff not exceeding US Cents 12.0 per Kilowatt-hour for wind generated electricity. The tariff applies to individual wind power plants (wind farms) whose effective generation capacity is above 500kW and does not exceed 100 MW. As a result of the publication of the FiT, there has been a lot of interest among potential investors to exploit the resource. The Government has given approval to 20 applications with a combined proposed capacity of 1,008 MW and a further 300MW under negotiated terms. The proposed projects are at various stages of implementation. The installed wind energy capacity on the grid is currently 5.45 MW comprising KenGen’s 5.1 MW farm in Ngong (six 850 kW turbines installed in August 2009) and 350 kW installed in 2011 at Marsabit. KenGen is developing a further 20MW at the same site in Ngong. Development of the 300 MW Lake Turkana Wind project is at an advanced stage.